A new crab trap is showing up at Maryland sport fishing retail stores under the name of CRAB ALERT. This trap is designed so that when a crab grabs the bait, a spring-loaded trap door closes automatically. Please be aware that a crab trap that automatically closes, without a manual force, is illegal to use in Maryland. Using illegal methods to catch crabs has a maximum penalty of $1,000 for the first offense. According to Maryland regulation, a collapsible crab trap is defined as a manually operated, portable device having a flat bottom not more than 20 inches by 15 inches, and not more than four articulated sides. The trap shall be designed so that failure to apply manually exerted tension on the closing mechanism allows the crabs to escape. In other words, a crab trap must allow crabs to enter and exit the trap until the user pulls the line up to retrieve the trap. This pulling of the line manually closes the sides on the trap. Recreational Crab Pot Requirements​ are available for all recreational waterfront property owners who set crab pots. Bycatch Reduction Device Information and where to buy. 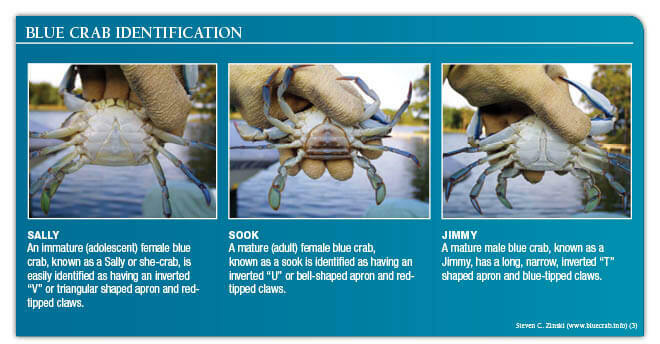 As of January 1, 2014 registration is required to use crab pots off private shoreline property. The registration is free and valid for 365 days from the date you register. The online registration is quick and easy through the Department of Natural Resources Compass System. You may call 410-260-3220 for assistance or visit your local Department of Natural Resources Service Center. For further information please read our FAQ sheet.